"When one realizes one is asleep, at that moment one is already half-awake." As an American child, I was told that if I wasn’t good, Santa would leave coal in my stocking. And sure enough, one year after a particularly terrible period of fighting with my brother Will, I got coal. Black licorice candy coal, but I was horrified. No wonder some kids are afraid to come near me. If they don’t think I look like a ghost, they think I’m going to eat them. The good news? Ex-pats are always plentiful around Kigali, so the threat works year-round. A view of the two of the five volcanoes in the north. 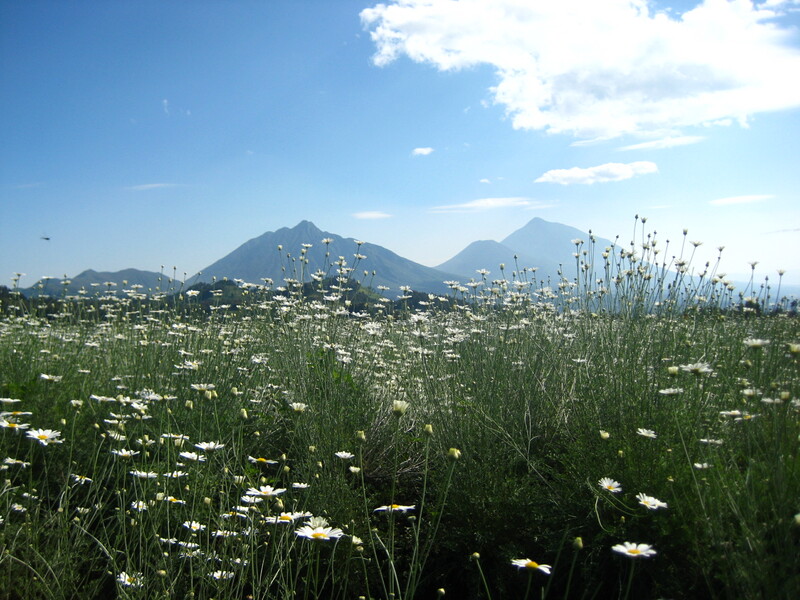 The white flowers are used to make Deet, which isn’t as necessary as we thought because there aren’t many mosquitoes at higher altitudes. The following are a few photos from the dowry presentation of a good friend’s older “sister” (we would say cousin, with our all-American distinction between nuclear and extended family). 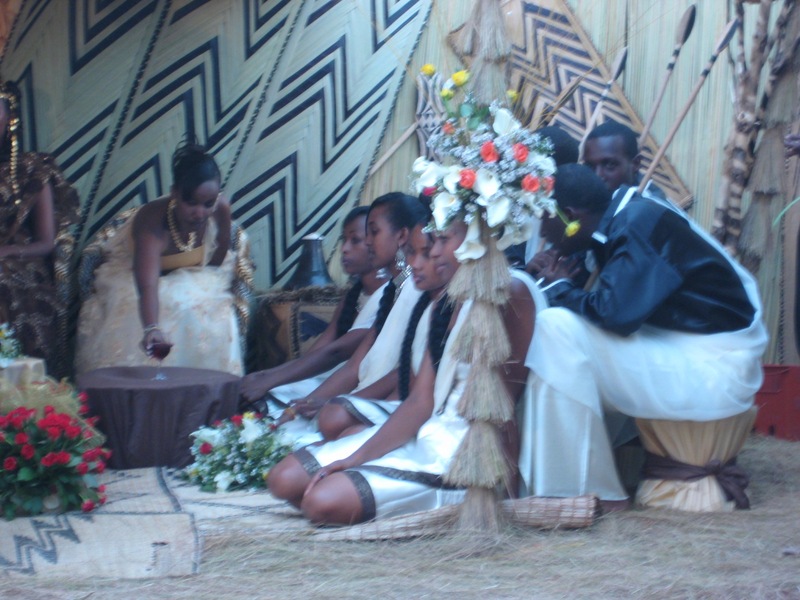 This traditional ceremony makes up only one piece of the marriage festivities for modern Rwandan couples – there’s also a civil wedding, a religious wedding, and a reception. The dowry ceremony begins with the arrival of the groom and his family, who ask for the bride by name. 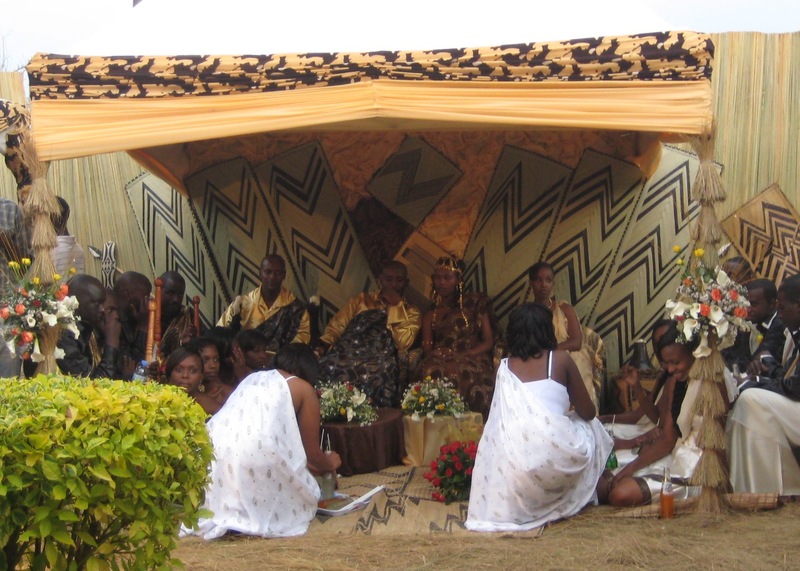 The bride remains hidden, and her family informs the groom that “Laeticia Mutoni” was married last week… no, she moved to Butare… no, here she is! Yes, this 70 year old woman is named Laeticia Mutoni! Oh wait, no, here she is – this 5 year old girl! The jokes continue. Eventually the bride and her wedding party process in and take their seats. In between the MC’s chatter, the head of the groom‘s family presents the dowry to the bride‘s family as a thank you for the gift of their daughter. More speeches, traditional dance and song, and the requisite round of Fanta or Coca follow. The wedding party. The bride is reaching for her ceremonial drink, which she and the groom share. 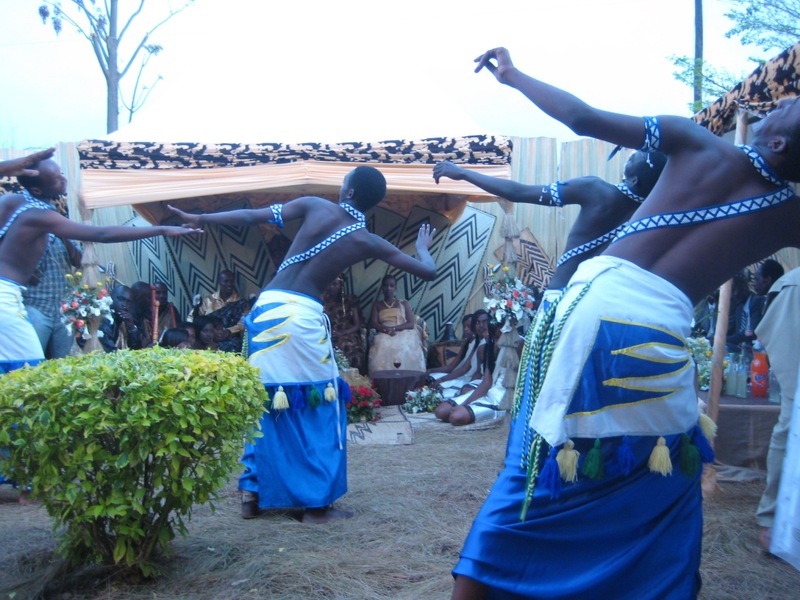 Traditional dancing and clothing. Male dancers sometimes wear huge manes of yellow hair on their heads, too. More dancing. The singers and drummers are just out of sight to the left. I wish our connection were fast enough to upload any video. 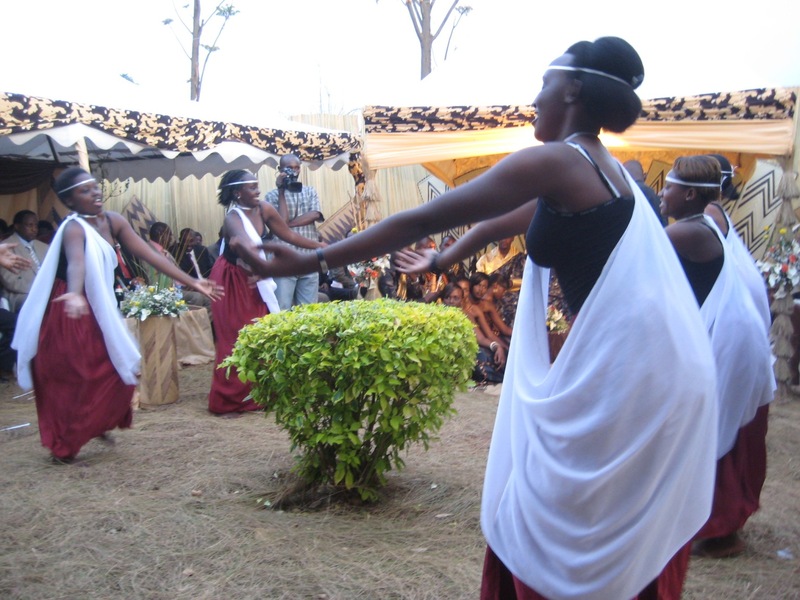 Rwandan dance has this gentle, bird-like strength and energy. And, time for soda. Can you spot the Fanta bottles between the beautifully woven banana leaves and the women in their mishananas? 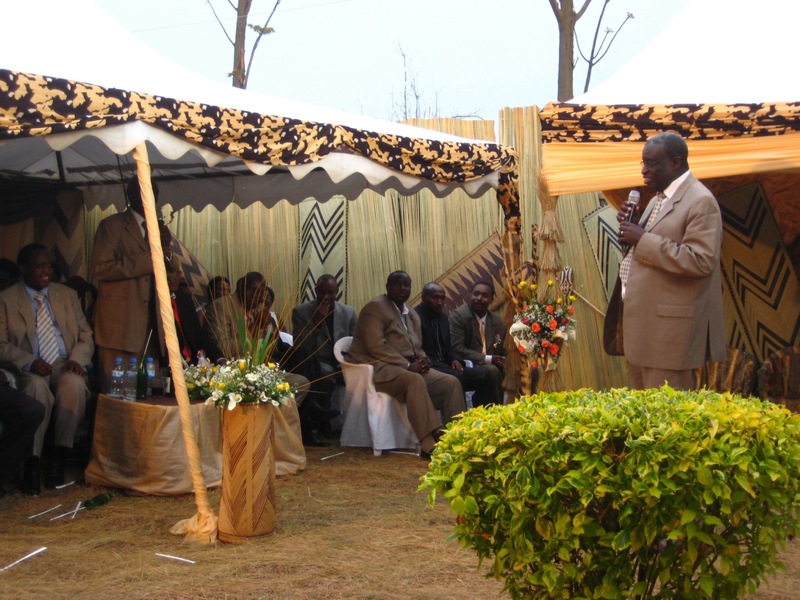 In Rwanda, New Year’s is a bigger deal than Christmas. There was not a Christmas light to be seen when I left on December 22nd, but now the country is decked out. I suspect everyone was waiting for New Year’s, when they stay up very late, anticipating the president’s televised speech at midnight. The hardiest celebrants watch the ball drop in NYC at 7am. We’ve lived in Rwanda for about six months and thought it was high time we start sharing some of the inspiring, surprising, and hilarious things we witness every day. We’ll bring you up to speed on our work and tell stories about life and culture in Rwanda in general. When work and life are slow, as “African Time” sometimes is, we’ll throw in a clip from some of the more interesting things that have happened from the last six months— from team members meeting with the Mayor of Kigali to a too-close-for-comfort encounter with maggots. The last two weeks, down the road from our house, cheering has reverberated from the concrete National Stadium where Kigali is hosting the Under-17 African Cup. Tomorrow Christina and I will shout along with the crowds at the final match: Rwanda vs. Burkina Faso. Rwanda’s Junior Wasps just qualified for the U17 World Cup, and the entire country is ecstatic. I’m excited to hear the take on the game from our Global Grassroots’ teams next week… especially if our captain is still injured after the loss to those cheating Senegalese. On Love. And Shooting B roll of a Filmmaker.